There has been much ado in the tech media lately about new malware that can infect another computer through nothing but sound. In other words, an infected computer could use nothing more than sounds played through the computer’s speaker to infect another computer that has a microphone (as most laptops do these days). Here’s the thing, though… it’s all crap! (Pardon the harsh language.) No such thing is actually possible. Many people misinterpreted Dragos as saying that the malware could infect another computer using nothing but sound, which Dragos was quick to point out was not accurate. His claims were simply that infected computers could communicate with each other despite having no connections to each other, and that they were using inaudible sound frequencies to do so. Now, there’s a rash of new articles about findings published by the Fraunhofer Institute for Communication. This paper, titled “On Covert Acoustical Mesh Networks in Air,” has been said to show that sound can be used to infect computers. Examples of this coverage include an article by Betsy Isaacson in the Huffington Post, titled “Your Computer Could Be Hacked Using Only Sound, Study Says,” and one by Michael Mimoso of ThreatPost, titled “Acoustical Mesh Network Used to Infect Air-Gapped Computers.” The latter has even been referenced on Twitter by Eugene Kaspersky, chairman and CEO of the security firm Kaspersky Lab. All participants must have installed a compatible acoustic communication system, either by infection of a malware or actively installed (on the attacker). “Participants” here refers to the computers that are participating in the mesh network. The scenario it describes involves a victim (the machine data is being transmitted from), an attacker (the machine the data should be transmitted to) and a number of drones (responsible for propagating the data through space and forming the bulk of the mesh network). However, all these machines, as is stated by the excerpt above, must be infected with the mesh network malware through conventional means. The coverage of this story is the worst kind of reactionary carelessness. Worse is the fact that the CEO of a major security firm is participating in spreading this FUD! (Shame on you, Mr. Kaspersky!) This is the kind of thing that responsible security professionals have to fight every day. 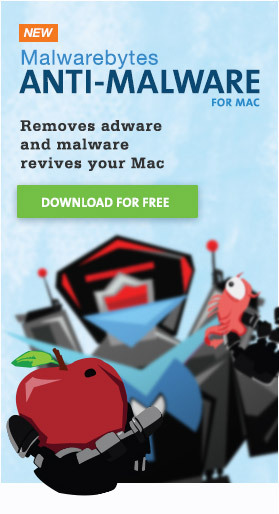 There are plenty of people in the Mac community who believe that anti-virus companies use lies and FUD to sell software that is unnecessary. Although that is not generally the case, this kind of behavior from Kaspersky certainly does nothing to help dispel this myth! Although it’s a real shame that we can’t trust these reports, this is really nothing new. News media of all kinds make mistakes all the time, as do individuals. Remember, before blindly trusting a report that sounds unbelievable, always do your research. For example, when someone reports about published research, seek out and read the research for yourself. Make no exceptions… as I have said before, I fully expect my readers to exercise skepticism, even with my own reporting. So, rather than take my word for it, go read that research paper and evaluate the truth of the reports for yourself! ESET also blogged about this yesterday in ‘Ultrasonic cyber-attack can “steal information” even from high-security systems, researchers warn’ http://preview.tinyurl.com/kvahfda that further referenced articles in the The Telegraph (UK) and c|net. that used high-frequency transmissions to jump the air gap. security level. So, it is a good idea to default to microphones off.